While Mount Kilimanjaro gets the bulk of the attention when it comes to climbing in Tanzania, there are other peaks that are worth considering too. Most prominent amongst them is Mount Meru, which is found a short distance to the west of Kilimanjaro and serves as a great warm-up trek for those who have the time and are looking for an even bigger adventure. Mount Meru climbing is very rewarding. Standing 4565 meters (14,980 feet) in height, Mt. Meru is a more approachable climb than Kilimanjaro and serves as a great stand alone hike in its own right. Many trekkers choose to use Mount Meru as an acclimation hike prior to starting their trek up Africa’s highest peak. Doing so increases their chances of a successful summit on Kilimanjaro and can reduce the number of days needed to climb to the summit at Uhuru Peak. Mount Meru is a dormant stratovolcano located 70 Kilometres (43 miles) west of Mount Kilimanjaro in the country of Tanzania. At a height of 4,562.13 metres (14,980 ft), it is visible from Mount Kilimanjaro on a clear day, and is the fifth-highest mountain in Africa, dependent on definition. Visitors to Mount Meru are more likely to spot wildlife along the trail, particularly in the early days of the hike. Often times a ranger will accompany trekking groups on the first day of the journey to ensure they make it safely to the first campsite. 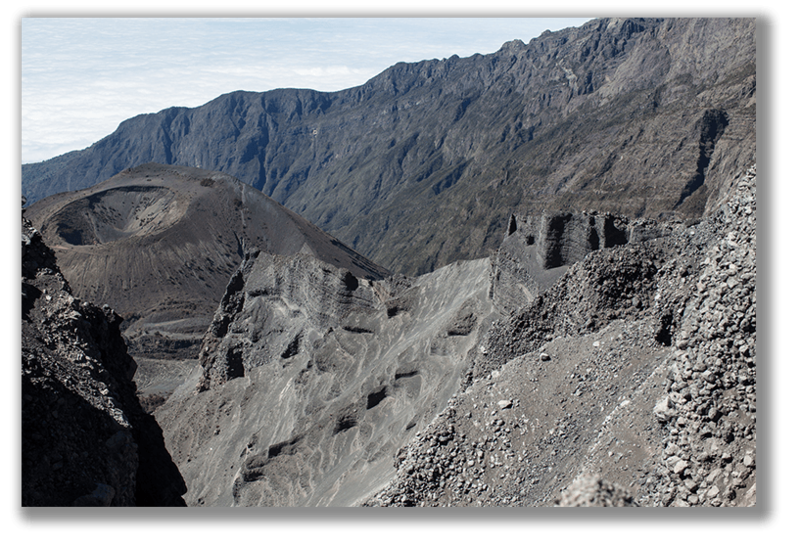 From there, the route wanders up the north side of Meru’s volcanic crater, before approaching the true summit itself. At the top, the views are outstanding, particularly with Kilimanjaro gleaming tantalizingly in the distance. Typically Mount Meru Climb takes four days, but it can be done in 3days to complete a trek to the top as even on this lower peak, acclimatization is the key to success. All trekking groups take the same route up the mountain, which begins at Momella Gate. Hikers will stay in a series of huts on their way to the top, with basic but comfortable accommodations located at two different campsites prior to the going to the summit, which is located at a place called Socialist Peak. Mount Meru Climbing offers two advantages to travelers. First, it allows trekkers a chance to experience what it is like to climb Kilimanjaro on a smaller scale, providing a grand adventure for those who don’t have a lot of time in their schedule or don’t want to deal with the higher altitude found on Kilimanjaro. But perhaps more importantly, it truly is a wonderful way to prepare for the larger challenges that they’ll face on Kilimanjaro, taking some of the mystery and acclimatization process out of the picture before ever stepping foot on the mountain. Below we have shared a 4 day / 3 nights Meru climb but you can do it in 3 days / 2 nights which we do not recommend due to long walking distance from Miriakamba Hut to the SocialistPeak Summit and back all the way to Momella Gate. Leaving early in the morning from your accommodation in Arusha or Moshi and driving to Momella gate in Arusha National Park. Driving takes about 3 hours from Moshi and about 1 hr from Arusha. At the gate you will clear your trekking permits, meet up with your porters, guide, cook and game ranger, and start climbing. You will pass open grassland which will give you a good opportunity to see buffaloes, warthogs and other grazers. You will cross the Ngare Nanyuki River and continue climbing through mountain forest. There you will have chance to see many different kind of birds and black and white colobus monkeys. Finally you will reach Miriakamba Hut where you will stay overnight. Second day climbing is quite short but demanding. You will start early in the morning and ascent steeply through lush mountain forest full of birds to reach the halfway point of Elephant Ridge. There you can see the crater. After 3 to 5 hours climbing you will reach Saddle Hut where you will have lunch. In the afternoon you will have another hiking to Little Meru (3794 m) for superb views before sunset. Then you will return to Saddle Hut for overnight. It is good to go to sleep early so that you get enough rest for the next day’s hiking. You will start climbing between 1 to 2 at night. The route is very steep towards Rhino Point (3850 m) and from there towards the summit along very narrow ridge. You will reach the summit, Socialist Peak, (4566 m) right at the sunrise. The sceneries there are stunning; you will see Mount Kilimanjaro in close distance. After taking photos on the summit you will descent back to Saddle hut. Note: On icy conditions or strong wind it is not necessarily possible to pass the ridge between Rhino Point and summit. You guide will decide if the conditions are not good enough to continue. You will leave about at 8.00 in the morning and descent to Momella gate. You can choose longer or shorter route down. On the longer way down you have very good changes to see wildlife and the ash cone. Once at the gate, it’s time to tip your porters, guide, cook and game ranger. After that your transportation back to Moshi will be waiting for you. – Be open and honest with us at all time. We’re part of the same team and share the same goal – to reach the top and come back comfortably and safely. Never pretend to feel well if you don’t before or during climb. – Make sure you are in good physical and mental health before attempting the mountain. We recommend a medical check prior to any climb. – Most people will experience mild symptoms of altitude sickness. Your guide is experienced in identifying and dealing with altitude sickness but you should also educate yourself about the symptoms and preventions of Acute Mountain Sickness (AMS), High Altitude Sickness (HAS), High Altitude Pulmonary Edema (HAPE) and High Altitude Cerebral Edema (HACE). Should you experience any symptoms of AMS, immediate descent is the remedy on Mt. Meru and will be ordered by your guide. – Start your physical preparation (hiking) at least two months before. Decrease efforts the last 2 weeks and rest the final days before the climb so your body can recover properly. We recommend long walks in different terrain, swimming and yoga. – Start practicing deep, deliberate breathing. Try Pranayama breathing technique or any other that suits your lungs. – Make sure you are properly equipped according to our packing gear list. – You should bring some “comfort” food, such as chocolate and energy bars or energy drinks powder. You might need this for a boost on summit night. – Be positive and prepared for any kind of weather and surface – rainy, foggy, snowy, dusty, muddy, loose surface. – Ascend slowly. Don’t overexert yourself. – Take deep, deliberate breaths. – Communicate openly with your guide and follow his instructions at all times. He is the most experienced person on the mountain and there to assist you at all times. – At high altitudes, loss of appetite is common. Eat and drink properly even if you don’t feel like it. – Summit day/night is tough. Steep ascent and sheer drops at some places, cold, wind and loose gravel surface will require your best efforts. Prepare yourself for this challenge and conserve mental and physical energy from the start. You will need it! – Don’t forget to enjoy! Feel connected to the mountain and feel the spiritual experience offered to you.